The emotional heart of the story lies with one rower, Joe Rantz, a teenager without family or prospects, who rows not for glory, but to regain his shattered self-regard and to find a place he can call home. The crew is assembled by an enigmatic coach and mentored by a visionary, eccentric British boat builder, but it is their trust in each other that makes them a victorious team. They remind the country of what can be done when everyone quite literally pulls togethera perfect melding of commitment, determination, and optimism. Drawing on the boys' own diaries and journals, their photos and memories of a once-in-a-lifetime shared dream, The Boys in the Boat is an irresistible story about beating the odds and finding hope in the most desperate of timesthe improbable, intimate story of nine working-class boys from the American west who, in the depths of the Great Depression, showed the world what true grit really meant. It will appeal to readers of Erik Larson, Timothy Egan, James Bradley, and David Halberstam's The Amateurs. The Boys in the Boat tells the mesmerizing tale of Joe Rantz and the 1936 Olympic eight-oar crew from the University of Washington. But it is much more than a story of athletic endeavor. It's about a child abandoned by indifferent parents, Americans' struggle to survive during the Great Depression, a young man's love of a young woman, and the amazing physical and psychological demands of rowing. It's about loss and redemption. It has drama and pathos and moral scope. And it culminates on an extraordinary international stage in Berlin in 1936, with Adolf Hitler looking on. I was impressed with Brown's research, imagining the countless interviews, the exhumation of journals and logs, and the patient review of long-defunct newspaper articles and photographs it must have involved. The Boys in the Boat is, then, an often inspiring feat of narrative non-fiction, though it could never be as thrilling as the victory of those nine boys from Washington state on a windy day in Berlin once upon a very dark time. Brown lays on the aura of embattled national aspiration good and thick, but he makes his heroes' struggle as fascinating as the best Olympic sagas. Starred Review. A book that informs as it inspires. A lovingly crafted saga of sweat and idealism that raised goosebumps from the first page. I was enthralled by the story's play of light and shadow, of mortality and immortality, and its multidimensional recreation of the pursuit of excellence. This meditation on human frailty and possibility sneaks up on you until it rushes past with the speed of an eight-oared boat. A triumph of great writing matched with a magnificent story. Daniel James Brown strokes the keyboard like a master oarsman, blending power and grace to propel readers toward a heart-pounding finish. In Joe Rantz and his crewmates, Brown has rediscovered true American heroes who remind us that pulling together is the surest path to glory. In 1936 nine working-class American boys burst from their small towns into the international limelight, unexpectedly wiping the smile off Adolph Hitler's face by beating his vaunted German team to capture the Olympic gold medal. 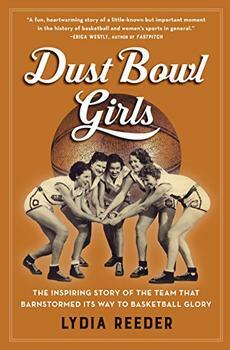 Daniel James Brown has written a robust, emotional snapshot of an era, a book you will recommend to your best friends. I really can't rave enough about this book. Daniel James Brown has not only captured the hearts and souls of the University of Washington rowers who raced in the 1936 Olympics, he has conjured up an era of history. Brown's evocation of Seattle in the Depression years is dazzling, his limning of character, especially the hardscrabble hero Joe Rantz, is novelistic, his narration of the boat races and the sinister-exalted atmosphere of Berlin in 1936 is cinematic. I read the last fifty pages with white knuckles, and the last twenty-five with tears in my eyes. History, sports, human interest, weather, suspense, design, physics, oppression and inspiration -- The Boats in the Boat has it all and Brown does full justice to his terrific material. This is Chariots of Fire with oars. The Boys in the Boat is an exciting blend of history and Olympic sport. I was drawn in as much by the personal stories as I was by the Olympic glory. A must read for anyone looking to be inspired! The Boys in the Boat is not only a great and inspiring true story; it is a fascinating work of history. This is an an amazing story about an amazing group of young men. The author wove in the history of the times with the personal story of the lead character. I learned a great deal about rowing and the Olympics. A must read!